Brightside Solar offers full-service solutions to meet your specific residential or commercial solar needs. Contrary to widespread belief, solar panels do not have to occupy huge amounts of space, whether on a roof or on land. Our goal is to make your switch to solar effortless, whether your energy needs are small or large. Solar photovoltaic (PV) systems in essence allow solar panels to capture energy from the sun to generate electricity for a home or business. A solar PV system that operates in conjunction with utility power is called a “grid- tie”. A utility-grid interconnected photovoltaic system typically has no battery backup. Consequently, it is less expensive and operates at a higher efficiency than battery-based off-grid systems. Although grid-tied PV systems are the less expensive to install, they will shut down when the utility’s grid power is interrupted. Grid tied systems are designed to shut down in the event of a utility power outage. This is for the safety of utility personnel working on power lines. Solar panels generate electricity during the day for use in a home. When the PV system is producing more power than is being consumed by a home or business, excess power is fed into the utility grid and the meter spins backwards. Any surplus produced during a billing period may be credited to the following billing period. 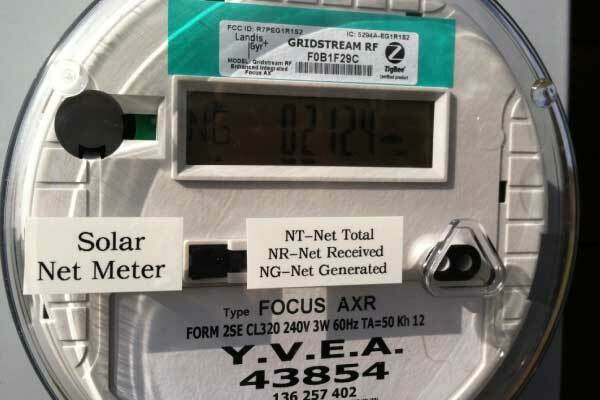 Spinning the meter backwards and accruing “banked power” to be used by a home during times when solar is not available, such as at night, is commonly referred to as “net-metering”. 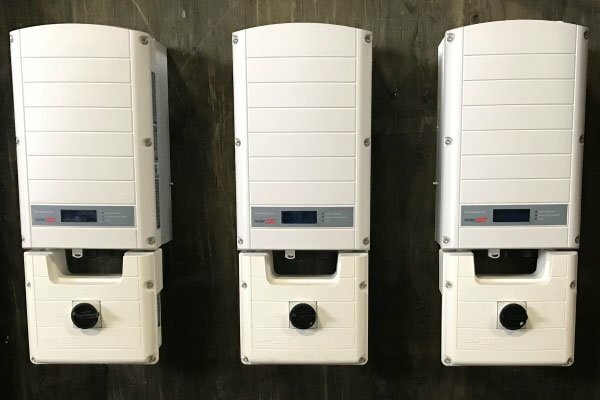 Grid-tied solar electric (PV) systems with battery backup produce power to meet the load demands of a home or business, but also keep a battery bank charged to use in the event of a commercial power failure. Grid-tied systems with battery backup realize the same net metering benefits of the more common and basic grid-tie PV system. Grid-tied systems with battery back-up do however cost more than straight grid-tied systems (up to 40% more expensive based on some estimates). The added expense results from additional components (i.e. batteries and charge controllers). 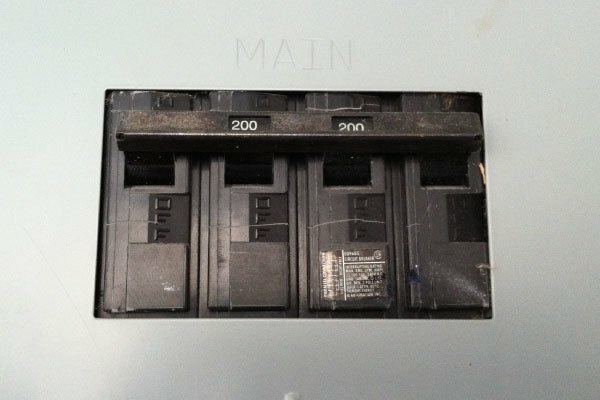 However, proper battery maintenance and charging can reduce costs by extending battery bank shelf life up to ten years. 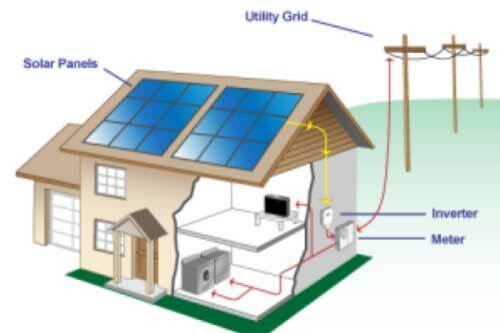 Photovoltaic electricity is used to charge a backup battery bank as well as power household loads. When the battery bank is full, excess PV energy is sold back to the utility grid. During utility power failures, battery backup can power critical loads such as lighting, pumps for heating systems, and communications. 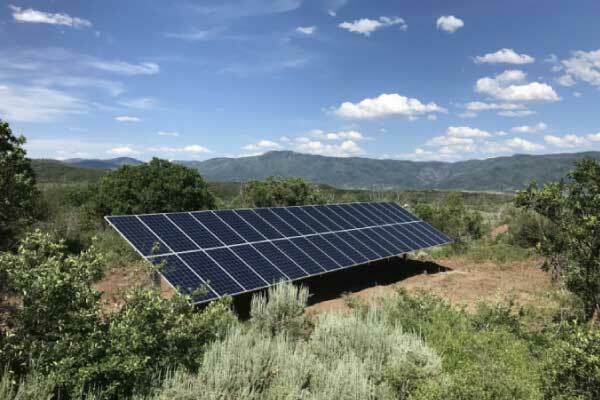 An off-grid solar system, otherwise known as a standalone or autonomous solar system, is the kind of solar system you would install in a remote location where traditional utility lines are not available or are not practical to access. The electricity generated by the panels is stored in a bank of rechargeable batteries as direct current (DC) but in order to power household appliances an inverter is required to convert the stored DC to AC (alternating current). This type of system consequently allows for use of the stored energy both night and day. Although solar panels are the primary source of electricity, this type of system also often requires a generator for high power appliances & supplemental battery charging. A solar array is a grouping of solar panels or modules which are comprised of solar cells. We can change sunlight directly to electricity using solar cells. Solar cells are small, square-shaped semiconductors made from silicon and other conductive materials. When sunlight hits the semiconductors in the solar cell the energy from the light is absorbed and knocks loose electrons in the solar cell. These loose electrons create a flow of electric charge. This flow of electrons travels to a circuit of wires that interconnect multiple solar cells into a singular solar module or panel. Solar panels linked together are commonly called an array. Solar arrays for homes can be assembled on rooftops or on the ground. As the solar array generates an electrical current, the energy flows through a series of wires and conduit to an inverter. 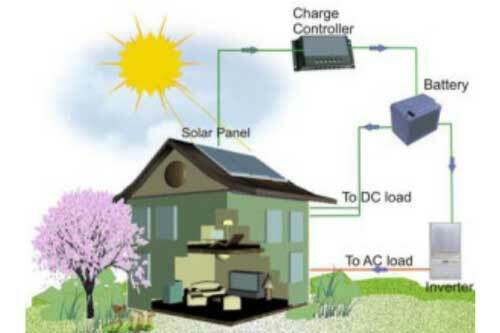 The inverter’s function is to turn the electricity from the DC format generated by the solar array to the AC format that is commonly used by a home or business. The inverter is typically located in an accessible location usually located on a wall near your main service panel. In most cases, Inverters have displays that allows you to read data about how your solar energy production and are usually connected to the internet to allow you and Brightside Solar to monitor your system’s performance remotely. After the electricity is transformed into a usable state (AC power), it is sent from the inverter through additional wires and conduit to the electrical panel or breaker box and distributed throughout the building as needed. The electricity generated by your solar panels is now readily available to power lights, appliances, and other electrical devices. If your service panel does not have an open space on it or is not sufficiently sized, Brightside Solar will utilize other code compliant methods to deliver the power from the solar array to your home’s appliances. Any electricity that is not consumed via the breaker box is sent to the utility grid through the solar net meter. The solar net meter is supplied by the utility and measures the flow of electricity from the grid to your property and conversely from your solar array to the grid. When your solar energy system is producing more electricity than you are using on site, the meter will actually run backwards, crediting you for the excess electricity through a process called net metering. Excess kWH credits will accumulate quickly in the summer months and can be drawn on during the less-sunny winter months. Improvement in solar technology isn’t just about manufacturing more efficient panels. Advancing solar technology also helps your system perform better over its lifetime. One of the ways this happens is through system monitoring. System monitoring enables Brightside Solar maintenance staff, and you to improve the site performance, assure the yield of your system, and reduce maintenance costs by increasing system up-time and resolving issues more effectively. 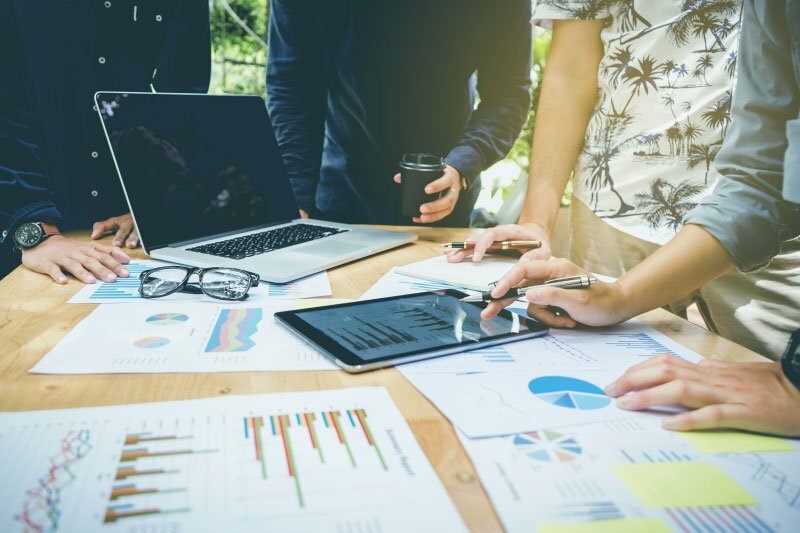 With your own personal device, be it a laptop or mobile phone, you will have the ability to collect data from the inverter and view it visually through charts and graphs. 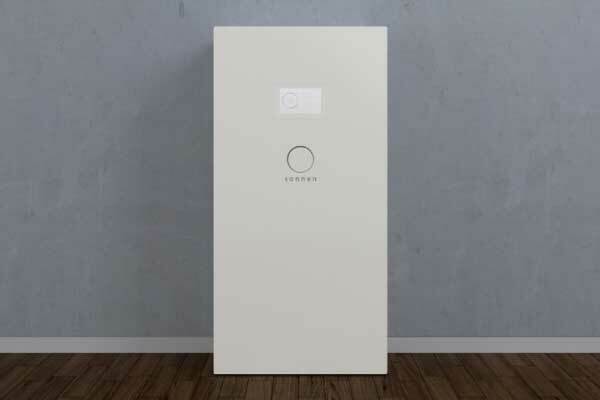 The market for home energy storage options like the Sonnen Batterie has taken off in recent years, and costs are falling quickly. Many homeowners and businesses are thinking about adding a battery backup to their solar panel system. A battery storage system can allow you to stay powered up for as long as the utility is down. Brightside Solar is a certified installer for Sonnen Batterie and with their battery back-up system can provide peace of mind by delivering a clean, reliable, and noiseless way to keep the lights on during power outages. Batteries that are recharged by your home’s solar PV system can also allow you to save money in the future should rate structures change with the local utility. © 2013 Brightside Solar | All Rights Reserved.